So the NSF, which oversees the U.S. Antarctic Program, looked elsewhere. Unfortunately, the three U.S. Coast Guard icebreakers are unable to handle the task: one is scheduled for decommission this month, one is being renovated and won’t be ready for at least two years, and the third is simply not designed for such a strenuous task as breaking through to McMurdo. 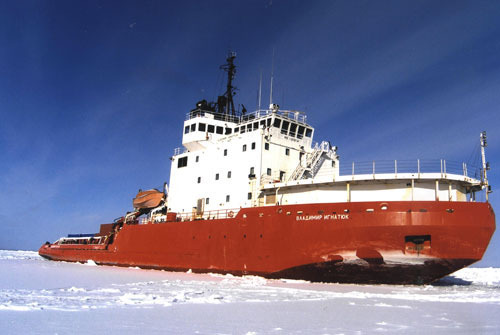 With time running out to guarantee shipment of fuel and other supplies necessary to keep McMurdo operating through this austral summer, the NSF secured an agreement with a Russian vessel, the Vladimir Ignatyuk, to cut through the ice this year, and perhaps for the following two years if it’s needed. The Ignatyuk has carried out similar duties for other nations in the past, but unlike the Oden, it is not a research vessel. Scientists hoping to conduct ship-based research will have to scramble to hitch a ride on other vessels headed for the Antarctic region.